What can Aquamarine, March’s birth stone do for you this month? Did you read last month’s blog post which was about Amethyst, click here to read it. This month I’m going to be sharing what there is to know about aquamarine and how March’s birth stone can help you. Aquamarine reminds me of the sea. Think how cleansed you feel having had a dip in the ocean; all those negative ions make you feel more energised, to say nothing of how clean you feel after being in the water. So, if the sea can make you feel this cleansed, what is this frozen piece of crystal water going to do for you? How many times have you been in the thick of an experience only to realise that this old thing is happening yet again? How many times have you wanted something to work for you, but for some reason you keep hitting a brick wall and end up getting nowhere? It may be something in your working life, it may be something in your personal life, but there’s something you just can’t seem to move past, and it is having a detrimental effect on your life to a greater or lesser degree. Perhaps you feel you know exactly what it is that is hindering your progress, or most likely, you have no clue, but you do know that you are now finding it tiring, limiting or even hurtful, that the same things happen again and again. Something must give, something must change, but you don’t know how. Aquamarine can assist us in transforming these restrictive behaviours we have developed, very often in childhood. We develop behaviours that help us through traumatic times in childhood, regardless of the type of upbringing experienced and continue to use these behaviours through life as a ‘safety mechanism’. Most of the time we are totally unaware that we are repeating these behaviours or patterns. Consequently, these patterns which may have served us perfectly well in childhood are not quite so helpful or desirable in our adult relationships or in the workplace. Aquamarine is here to help us release these patterns and transform these blocks by helping us with discovering and developing our own particular truth. This in turn guides us with our communication, so that the right communication becomes easier for us. This is how its clearing aspect works. 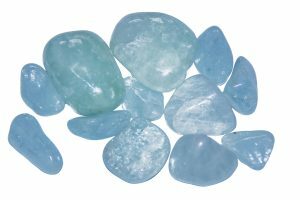 Take a small piece of aquamarine, perhaps a tumblestone, and ask it to work with you to assist you in developing your own truth. In meditation, with a piece of it in your hand, ask it to help you release any detrimental patterns so that you can move forward in life. Please also ensure that you ask for your highest good and that you only received what you are able to deal with at this time. Doing this means you won’t be taking on more than you can handle. The more you work with aquamarine, the more your intuition will develop, always a good thing, provided you listen to it and take heed. Aquamarine is a range of stunning colours, from pale sea green and sea blue to deep sea green and sea blue. It is the blue crystal of the beryl family. Many crystals can be found in Brazil, aquamarine being one of them. It’s also found in western Russia in the Urals, Afghanistan, Pakistan, India and the USA. Madagascar is home to some of the finest crystals, including aquamarine. 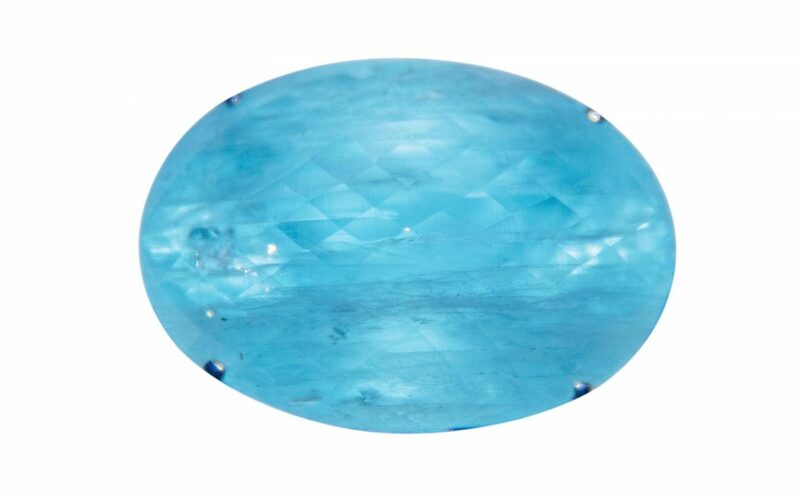 Aquamarine can be found quite easily in crystal shops and anywhere else you might find crystals for sale. Aquamarine is a fantastic crystal for energising and clearing negative energy in water and the perfect crystal for doing this. Why? Water is hexagonal in nature; just think of snowflakes and the pretty patterns they make, and however different each one is, every one of them is hexagonal. The internal structure of aquamarine is also hexagonal, which makes for a perfect pairing. As the actual word aquamarine can be broken down to mean water and sea, it’s no surprise that there are folklore tales of mermaids and treasure. It is also known for being used for protection and good luck by sailors. Aquamarine can help with so many things. Discover more about aquamarine and other crystals. Next month we will look at diamond.